One of the special exhibitions on at the V&A this year is about the influence Ove Arup had on design and architecture. He was a building engineer by training and stepped over the divide between architect (designer) and engineer (builder). He designed some very iconic buildings, including the Sydney Opera House. It took a lot of throwing away of designs before the one was found that looked the way it was meant to and was not going to fall down. And remember this was done before computing power was in your pocket. This is one page of the calculations for the roof. I have seen two of his designs in person and enjoyed seeing the process that led up to the real life construction. The penguins at London Zoo now live on Penguin Beach because it provides a better habitat for them than the Penguin Pool designed in the 1930s. It is listed, so is unlikely to be taken down, although I don’t know what it is now being used for now. Have you been recently and know? The other design I have experienced is the roof at the Menil Collection in Houston. I was not really aware of it at the time, however with hindsight do remember the amazing natural light which doesn’t fall directly onto any of the artwork. Excellent viewing conditions without the risk of UV-damage. 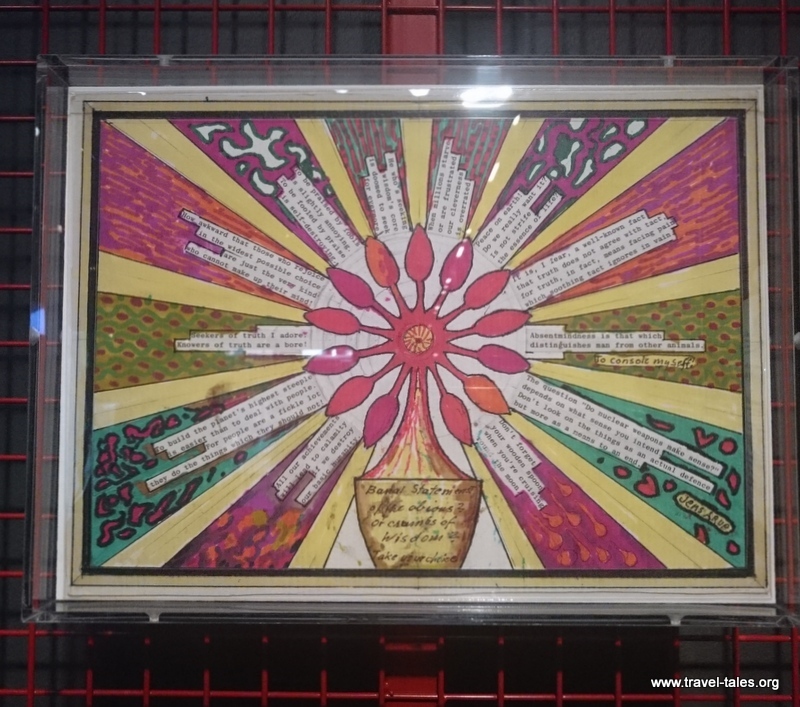 Ove Arup was always doodling both art and philosophy, some examples of which are also on display.